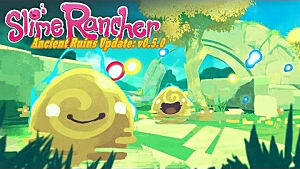 Gordo Snares are a new slime science gadget item introduced in the Version 5.1 update of Slime Rancher. 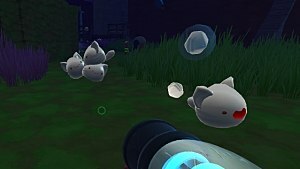 These snares can be placed down and allow you to lure Gordo Slimes -- rare slimes created when multiple slimes of the same type merge together to create a much larger slime seemingly incapable of movement -- with food and also allows you to put the Gordo slime wherever you would like to. To use a Gordo Snare, properly place it on the ground and shoot food into it to use as bait. 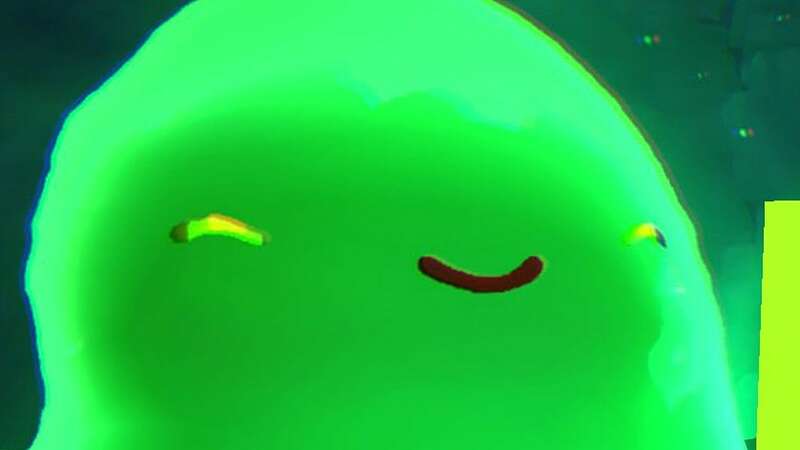 You'll have to have plenty of patience and a bit of luck if you're trying to obtain a particular Gordo. 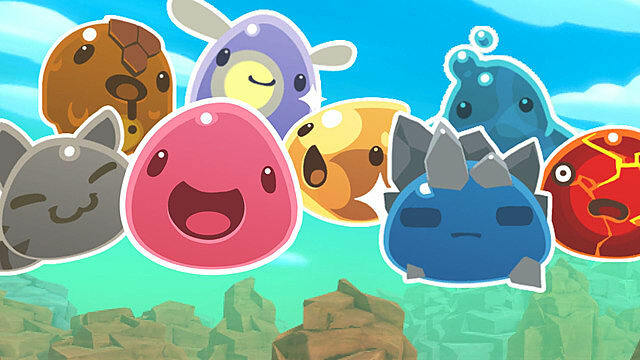 Gordos will also burst when given enough food -- 70 to 80 pieces normally, but this number is cut in half if the pieces happen to be its favorite food, which then is only 35 to 40 pieces -- causing them to create a number of smaller slimes of the same variety and in a handful of different items. 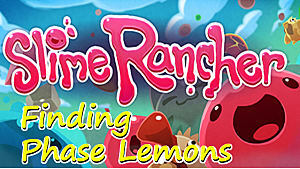 Gordo Snares also allow players to bring Gordo slimes to hang out at their ranch. 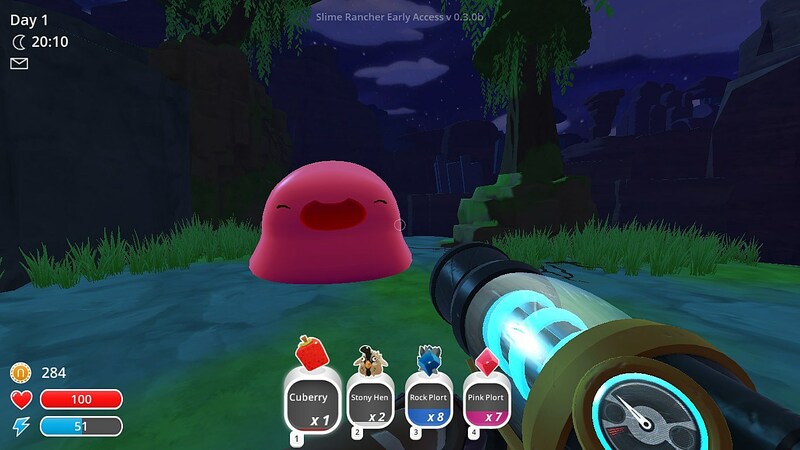 When using Gordo Snares, it's best to continually farm Pink Gordos, as they're much easier to feed since they don't have a favorite food, and will be satisfied with whatever food you feed them. 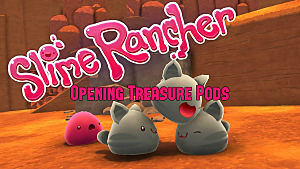 Pink Gordos (pictured above) also give most of the same rewards as any other Gordo Slime would once it explodes. Make sure to be careful when feeding Gordos of the Boom or Rad varieties, because they can be dangerous. 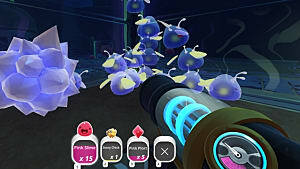 Boom Gordos create a huge explosion when popped, while Rad Gordos (pictured above) emit a radioactive aura which can fill the entire room it's in, causing you to take damage, and water cannot remove this effect like it can with smaller Rad Slimes. 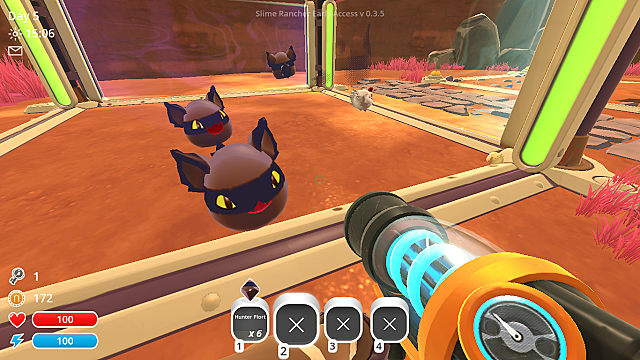 There are some newly introduced Gordo Slimes which can be created from Gordo Snares and currently cannot be found in the wild, including Hunter Gordos (smaller Hunter Slimes pictured above) and Crystal Gordos. 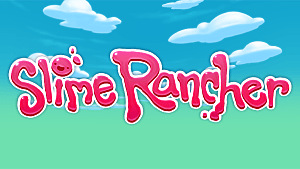 As of the time of writing, there are currently eleven obtainable and explodable gordos in the game you can go out and find when going to certain areas including: two Pink Gordos, two Rock Gordos, one Phosphor Gordo, two Tabby Gordos, one Quantum Gordo, one Boom Gordo, one Rad Gordo, and one Honey Gordo. 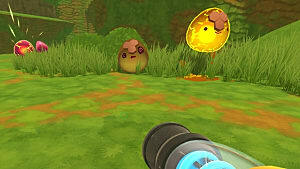 Of course, all of these Gordos can be found by using Gordo Snares wherever there is a gadget spot as well. 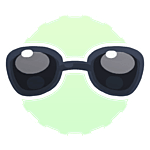 One other notable feature, is if you add a fashion pod -- certain fashionable but not useful accessories -- to a Gordo slime you find or create with a Gordo Snare, such as the Shady Fashion Pod Sunglasses (pictured above), all the slimes the Gordo creates after exploding will have the same fashion pod. 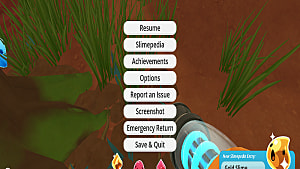 The Gordos created and obtained from Gordo Snares can be found anywhere there is a gadget spot. We hope this guide helped you understand how the new Gordo Snares work, and if there's anything we might be missing, let us know in the comments! 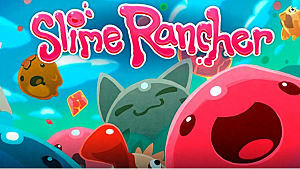 What even is Slime Rancher anyway?